About ten thousand people flocked to the central square of Minsk, angry at Aleksandr Lukashenko's overwhelming victory - his fourth in a row. However, riot police have gained control over the square and cleared the protestors. Some people were reportedly cornered by the policemen and beaten. At the moment the situation has calmed down. Several hundred protestors have been arrested. 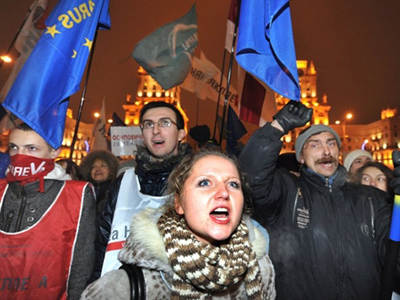 Some protestors attempted to storm the House of Parliament in the center of the Belarusian capital, Minsk. Windows in the building have been broken and a large number of people gathered at the doors trying to break into the parliament. The opposition says the victory was fraudulent. For two opposition leaders, Vladimir Neklyaev and Andrey Sannikov, the presidential elections have turned especially ugly when, during the protest demonstration, they were beaten by a group of people wearing masks. Two members of RT camera team were hit by police wielding batons, and this was just one of many incidents in the Square of Independence where the main protests were taking place. “We’re here to defend our freedom, which is being threatened by one man who is in power and who is making all the decisions by himself. The entire system is riddled with fear,” said one of the protestors. The protestors did not look like they were likely to leave anytime soon judging by the slogans they were shouting: “We will stay”, “We will fight for our country” and “Long live Belarus”. 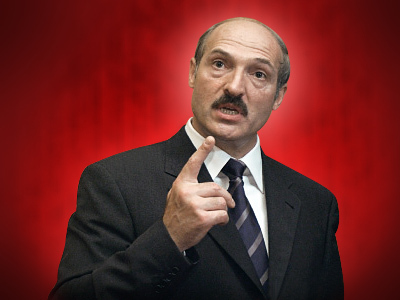 One short slogan – “Leave” – is directed at newly-elected President Aleksandr Lukashenko. 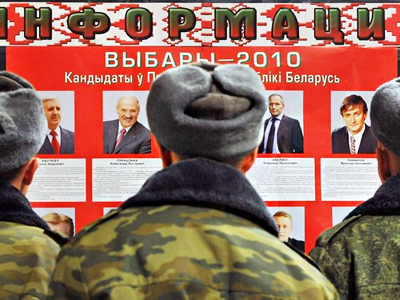 Reportedly, Lukashenko has received almost 80 per cent of the votes. There has been only one registered violation so far, when an international observer was not allowed access to a polling station. Some international observers, specifically those from the OSCE, have already said they believe the reaction to these elections has been calmer than that of 2006. 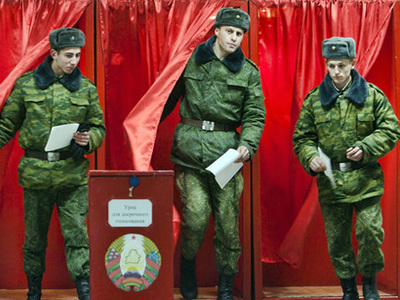 However, the OSCE has also expressed discontent with the lack of improvement in the ballot’s transparency. "I had very much hoped that this time we would be able to make a more positive assessment. Unfortunately, this is not possible in light of the flawed vote count and the authorities' heavy-handed response to yesterday's demonstrations," said Ambassador Geert-Hinrich Ahrens, Head of the OSCE/ODIHR observation mission. 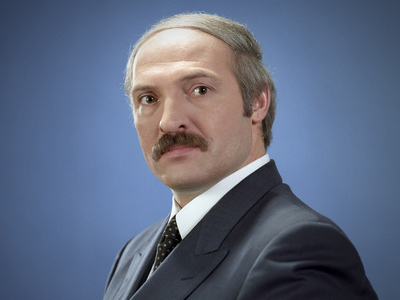 President Lukashenko gave a stern response.